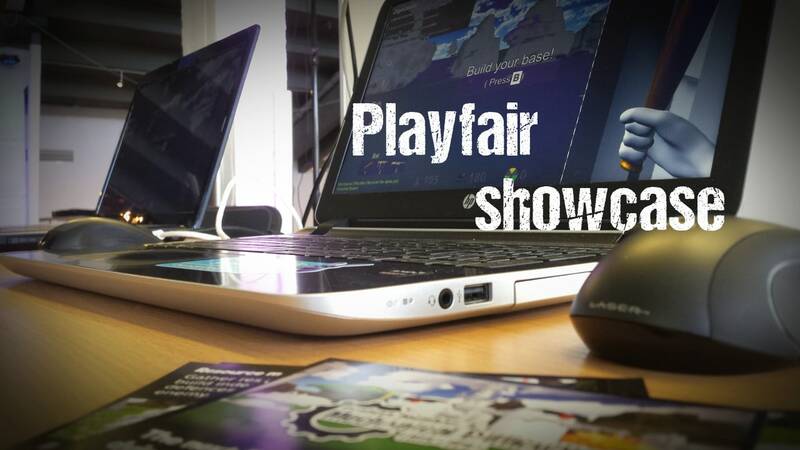 After the Game Dev Days conference, I managed to get a showcase area at another local gaming event called Playfair. For me, it wasn’t as professional as the Game Dev Days that had passed a few days earlier. I went to Playfair just to introduce my game Mechanical Difficulties to the locals. It turned out to be a much better experience than expected. Because MängudeÖÖ had taken place just a few weeks prior, a lot of people had just been to a big gaming event. 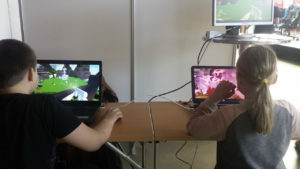 But MängudeÖÖ had an age limit of 16+, so now there was the younger age group thirsting for some gaming fun. Up to that point I hadn’t tested Mechanical Difficulties with the younger crowds. I hadn’t realized it before, but that actually was a much-needed experience – I didn’t know if they would like the game. When I saw children at the age of 7-8 lurking around my booth with their parents, I was skeptical. How could they possibly get a grip on such a complicated core mechanic I have based my game on? I was wrong. Turns out that if they had played Minecraft before (most of them had), it was quite easy for them to understand what they had to do in the game. Talking to these children and listening to their ideas on the game was heartwarming. Not only that they cared about the game so much, some of their ideas were really damn good. I encouraged them to keep an eye on my blog and youtube channel, but I’m afraid most of them can’t understand English enough to keep following my content. From all of these children, one asked if he could help out and design the icon for Mechanical Difficulties (image below). I am really thankful to him and proudly have it as the game’s icon now. I also found a new friend, Ralf, to sometimes playtest Mechanical Difficulties with over Skype. And another boy, Andreas, who wanted to become the first official tester of Mechanical Difficulties. Because of him, I have created a system where anyone can become a tester and help Mechanical Difficulties become a better game. You can find a sign-up form at the bottom of the new official download page. Overall Playfair was a nice experience. I’m happy I came and showcased Mechanical Difficulties. I got to meet many cool people and got confirmation that also the younger audience likes my game.